Statute Law is law that is written down and codified into law. Statutes begin as bills: and there are public and private bills. Public Acts are those that affect either the whole of the UK or some of its constituent countries: England, Scotland, Wales and Northern Ireland, whereas private Acts may grant limited powers to public bodies such as local authorities, or apply only to specific locations within the UK. There has been a significant increase in the number of statutes passed in law in the United Kingdom in the 20th and 21st centuries. To begin with, a bill goes through scrutiny and is refined before the final draft is created. Then it is given its first reading, and after its second reading there is a general debate as to its contents. Once at the ‘Committee stage’ both the House of Commons and the House of Lords may make amendments to it. Then further amendments may be made when it is considered at the report stage. A third reading allows for final changes to be made, and it is passed to the other house (the Lords if it is a Commons bill, and the Commons if it is a Lords bill), and final amendments can be made. Once these processes have been completed, the bill receives the ‘Royal Assent’, after which it becomes law. The Royal Assent is in effect the signature of the monarch. In past times the monarch had a much more active role in passing statutory laws, although nowadays the obtaining of the Royal Assent is seen by many as merely a constitutional formality. Although statute law codifies certain rules, it is the continuing development and fluidity of case law that enables judges to interpret statute law. However, it should be noted that judges are not bound by their predecessors, which is why case law is susceptible to change. Further, the law upon which judges comment is essentially made by ‘accidents of litigation’: in other words, if the case hadn’t been brought, the judgment would not have been made. However, it is also true that certain events can force parliament to bring changes to existing laws, such as the Criminal Justice and Public Order Act 1994 in response to the increasing number of huge raves being held on farm land across the country. Once you have found a statute, or reference to a statute, it is vital that you check that it is still in force because laws are constantly being changed, updated and repealed. There are numerous ways to do this either online or by using a law library. 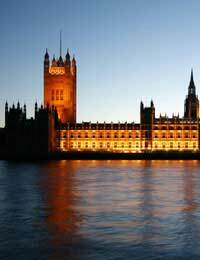 Lawtel has all acts of parliament from 1987 onwards, whereas Westlaw has acts of parliament from before 1987. If you want to research a statute in a paper law library, use Halisbury’s Statutes, which is a set of fifty hardback volumes, as updated by a Cumulative Supplement and Noter Up, for the most recent developments. The Statute Law Database is also a very useful and fully searchable tool as it allows you not only to view how statutes have changed over time, but also to see amendments that are not yet in force, as well as linking associated statutory provisions together. just wondering if there is anything in common law that could help Alfie evans the little boy whose life support was turned off but he is still breathing after 48 hour.His treatment and that of his parentshas been barbaric. I do not personally know all the legal ruling just trying like many others to find a way of helping them.i do not know them or they know me and they have no idea i am asking about this. If you need some back-up to get answers that aren't coming forth, your local counsellor may help to push this matter on your behalf. However, if you have made a complaint and it hasn't been addressed, then your Local Government Ombudsman will look into this, please see link here. As outlined in the article, first introduced in the 1940s statutory instruments (SIs) were used to save parliamentary time by allowing procedural changes to laws to be made without the perceived need of a full debate in a vote in the Commons. 23 June 2016I am an ex-pat and a British citizen and have been living in various EU countries for a number of years. This means that should BREXIT occur then I will be one of those persons most directly affected by future measures. However, it would seem I do not have the right to vote on this matter.Surely this is illegal as it is a European issue and not a Birtish one and I have the right to vote in any European Pariliament election.Does anyone have any ideas on this? Registered overseas voters will be able to vote in the upcoming referendum on the UK's membership of the European Union. There may not now be enough time for ballot papers to be posted out from the UK, completed and posted back again in time for your vote to be counted. You should consider voting by proxy instead, please see link here. 23 June 2016 I am an ex-pat and a British citizen and have been living in various EU countries for a number of years. This means that should BREXIT occur then I will be one of those persons most directly affected by future measures. However, it would seem I do not have the right to vote on this matter. Surely this is illegal as it is a European issue and not a Birtish one and I have the right to vote in any European Pariliament election. Does anyone have any ideas on this? HI was wondering if anyone could give an example of statute law. @Emily - you will be able to find a full definition of 'crime' in a legal dictionary. I imagine there will be plenty in your university library. K.
@Wizard - I can only suggest you go through the appeals process if you think a decision is unfair. I have included a Gov.uk link herewhich may help. @George - The National Archives website should be able to help you, link here. How and where can I get a copy of a Court Case that happened 20 years ago. Joy, I'm assuming from the date of your comment that your solicitor has returned from holiday, but just in case, I thought I would share a little of my knowledge with you. In the UK, 3 elements have to be present to create a legally binding contract - Offer, Unqualified acceptance, and Consideration (something of value to at least one party to the Contract). It is possible to create a legally binding conttract verbally, but it is very difficult to prove if disputed. In your case, I would say that the Unqualified acceptance of this verbal contract was not present (you agreed to purchase the items on the condition that they came as part of the house). In addition to this, the onus of proof would be on the person you were buying them from, so you are in a very strong position to dispute this. Good luck. I hope you get it sorted.